The article/blog post I wrote a few months back entitled, I Have a Message…Go Get a Massage received a good amount of interest, as well as feedback. I had originally intended to cover several of the therapeutic and recovery techniques that I recommend and employ myself. After awhile of editing and shortening, I realized there was just far too much info for a single post. I suppose this could be considered the sequel, so without me rambling on and on (probably going off in a totally different direction in the process) lets get into some of the other therapy practices I believe in. Perhaps the most polarizing of all “mainstream” healthcare practitioners’ are Chiropractors. I’ve heard so many varying opinions when it comes to chiropractic care it’s mind boggling. The sentiment towards Chiropractors, at least from what individuals I’ve worked with over the years, ranges from, “Dr. Chiro allowed me to walk again” to “it’s all Dr. Chiro’s fault I’ll never walk again.” I think this originates from a misunderstanding of what a Chiropractor intends to accomplish through his or her manipulation and adjustments to the effected area of the body. Your nervous system controls and coordinates all functions with-in the body, when the signals being sent through the system get interfered with, parts of the body will not receive proper messages. Therefore, impairing proper movement patterns, these impairments are not isolated ONLY to the directly affected area of the body. That’s only the beginning, remember, the body is a kinetic chain working in harmony like a well conducted orchestra. Just like an orchestra, the human body is harmonious until just ONE of the numerous possibilities is off tune or misaligned. This can dramatically alter the sound and flow of the entire orchestra or human body. A subluxation refers to an incomplete or partial dislocation of a joint or organ. More specifically a vertebral subluxation is when one or more of the bones of the spine move out of position and create pressure of irritation of spinal nerves. 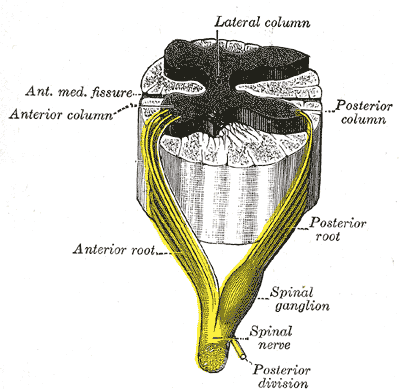 Spinal nerves are the nerves between each of the bones in the spine. The pressure or irritation causes these nerves to malfunction and interfere with the signals traveling over the nerves. It’s the responsibility of the Doctor of Chiropractic to locate subluxations and reduce or correct them. This is done through a series of chiropractic adjustments designed to correct the vertebral subluxations in your spine. A study conducted by Drs. Anthony Lauro and Brian Mouch, published in The Journal of Chiropractic Research and Clinical Investigation(1991) indicated chiropractic care might improve athletic performance by 16.7% over a two week period. Like I always say 1% of something, is better than 100% of nothing. The report also concluded that subluxation free athletes react faster, coordinate better, and execute fine movements with improved accuracy and precision, amounting to an overall better athlete. In closing, when the body is aligned properly, your nervous system is tuned allowing the kinetic chain to fire in unison. This leads to peak performance, fewer injuries and faster recovery. One practice in particular that I’d like to mention is acupuncture. Acupuncture is a technique of inserting and manipulating fine filiform needles into specific points on the body with the aim of relieving pain for therapeutic purposes. According to traditional Chinese acupuncture theory, the acupuncture points lie along meridians along which Qi (chi or ch’i) the vital energy flows. Some of the benefits of acupuncture include a quick reduction in inflammation, as well as, releasing pressure form trigger points which greatly accelerates the healing process. The importance of reducing any inflammation is that it prevents blood stagnation via release of osmotic pressure away form the injury, again creating a more efficient healing process. Additional benefits form acupuncture include increased circulation, a boost to the immune system, many patients claim increased energy and serenity, and it has been found to be especially effective in treating ligament and tendon strains which are quite common among training athletes. Regular acupuncture enthusiasts claim that it helps significantly in their training and performance. A number of avenues such as building muscle mass, increased glycogen storage, improvement in fast twitch muscle fiber activation and overall energy which are paramount for a great performance. To give you an idea of the athletic influence that acupuncture has take the 1993 Chinese National Games where a total of 9 women broke world records and claim to have only used legal Chinese herbs and the constant use of acupuncture treatments. Acupuncture is becoming so respected that for the first time ever it was offered during the Beijing Olympics in 2008, for all athletes and officials to incorporate into their recovery, healing, medical and whatever other forms of treatment they desired (within the parameters of IOC guidelines of course). Lastly, I want to briefly discuss TENS therapy which stands for Transcutaneous Electrical Nerve Stimulation. This type of therapy is performed by placing electrodes on a desired location of the body, either directly on an effected area, or at key points along the nerve pathway. A small battery powered generator emits a milli-amp of electricity through wire leads to the electrodes. TENS therapy is often used in pain management protocols as well as physical therapy, however I intend to discuss what I believe to be the benefit of TENS therapy for a high performance athlete. As I discussed when we train we breakdown the muscle fibers and repair them through proper nutrition and so on. Over the course of these processes we develop micro scaring in the muscles and I believe a TENS unit is great in assisting in the break up of the scare tissue. One of the reasons for the excellent healing properties of TENS therapy is the increased circulation it brings to the area where the electrodes are placed. In my experiences, I notice that TENS therapy tends to “open” the muscles fibers, what I mean is, I simply feel there is more volume to the muscle bellies after this type of a therapy session. I wouldn’t say that there’s a time limit on transcutaneous electrical nerve stimulation, but I find thirty minutes to be sufficient. If you plan on having any longevity in your sport of choice it’s imperative that you put just as much effort into recovery and healing your bodies as you do to training and practice. Being at your absolute best is a 24/7 job, attention to detail is a must in order to achieve Ultimate Human Performance. Speed Training and Dynamic Warm-ups Revealed. So you wanna transform your physique, huh! ?.